We all know that stress is the underlying cause of many dis-eases within the body and the mind. 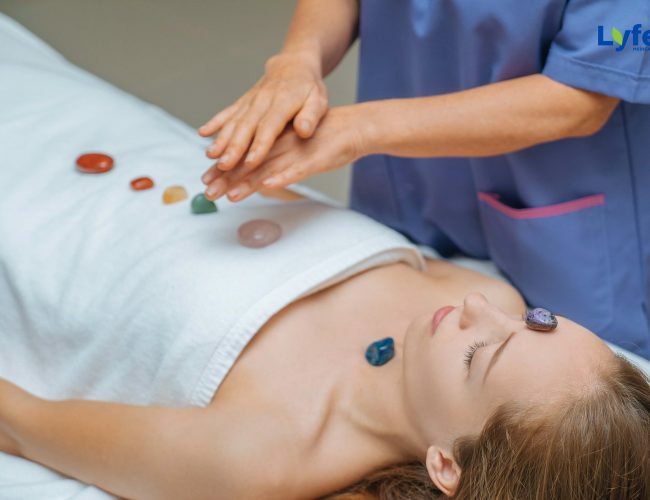 With this gentle and relaxing yet profound therapy our main energy centers (Chakras) are unblocked, restored, and re-energized. Overall wellness is experienced on a physical, mental, spiritual, and emotional level while receiving Reiki. ~This therapy is suggested to everyone, independently from age, gender, religious background. If you are looking for relaxation, stillness and clarity of mind, assisting physical healing, focus or simply an energy boost and a body-mind balance, this is your go to. This unique therapy is a full ‘reset’ on all energy levels using a combination of different healing techniques. 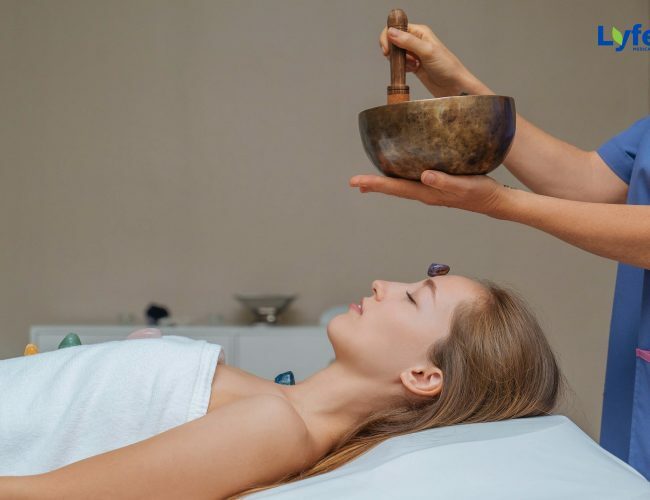 With Tibetan and Usui Reiki healing, Liana channels the universal energy, aided by the frequency, vibration and healing power of sound, colors, essential oils and powerful crystals. It activates the body’s natural ability to heal itself going to the deeper levels of a person’s being, where many dis-eases have their origin. It works wherever the recipient needs it most, releasing blocked energies, cleansing the body of toxins and working to create a state of balance. It reinforces a person’s ability to take responsibility for their life and helps them to make the necessary changes in attitude and lifestyle to promote a happier and healthier life. This therapy is suggested if you desire to restore or simply reboot your energy levels. If you are aware that there is an internal conflict, a need of deeper understanding of oneself. If you feel that ‘something’ is holding you back from your best performance. You will be surprised once you tap into your own power and unlimited potential what you are capable of.